Available at Amazon Kindle Store. 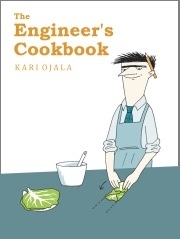 The bestseller cookbook in Scandinavia now available in English for engineers, geeks, nerds and their friends across the world! What kind of relationship does an engineer have with food? What does an engineer eat? How does he prepare a meal? How does he organise the various stages of the cooking process? What drives him? Technical men or women behave above all rationally. They solve problems and follow through. The guests of the engineer are always satisfied, the food is served on time, and nothing gets left over. Managing the whole is an intellectual challenge for the engineer and preparing food successfully gives him deep pleasure. This book gives a systematic presentation of the principles behind the engineer’s cooking skills. It helps the engineer to see what is essential in food, to recognise his own strengths, and to adapt his skills to make good food. For those not technically educated, the book offers an exhilarating insight into the inner life of the engineer – and dozens of practical and clearly-illustrated recipes that allow everyone to prepare delicious food easily. The recipes in the book are typical tried-and-tested engineer foods, such as cabbage rolls, meat loaf, prawn salad, stuffed peppers and strawberry cake. In addition to the recipes some useful dining skills are described, for instance, setting the table, seating the guests, toasting, and behaving at a restaurant. 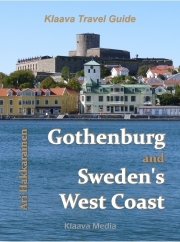 … and on other Amazon Kindle stores across the world. What does the engineer eat? What and how does the engineer cook?